While we’re on the subject of endangered art museums, this just in from C. Michael Norton, Fisk University’s lawyer in the Stieglitz Collection case, regarding the final disposition of the eminent collection of American modernist art, housed in the financially challenged university’s Van Vechten Gallery. The final order was entered today in the case. 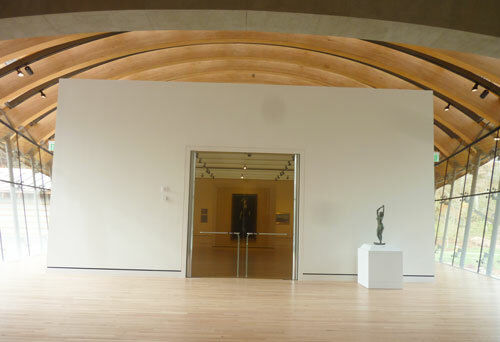 As for the sharing schedule, the joint agreement stipulates that the Collection will remain at Fisk until the Fall of 2013, then spend two years at Crystal Bridges and then return to Fisk. The contemplation is for a two-year rotation, but the oversight committee can set another schedule, so long as the exhibition time at each location is equal. In other words, the court-permitted, AAMD-condemned deviation from the written instructions of the collection’s donor to Fisk (Alfred Stieglitz‘s widow, the artist Georgia O’Keeffe) is a done deal. The final order also requires Fisk to set aside $3.9 million for a Fund for the Care of the Alfred Stieglitz Collection at Fisk University. That collection endowment will come from the university’s $30-million proceeds from its sale of a half-share of the collection to Alice Walton‘s Crystal Bridges Museum, Bentonville, AR. The purpose of the [$3.9-million] Fund is to benefit, in perpetuity, the display and care of the Alfred Stieglitz Collection at the Van Vechten Gallery at Fisk University or any future owner [possibly Crystal Bridges?] of Fisk University’s 50% ownership interest in the Collection or its 50% membership interest or economic interest in the [newly formed] Stieglitz Art Collection LLC [emphasis added]. Meanwhile, Fisk’s search for a new president continues. But it’s too late, in this case, for a Brandeis Solution, even if the incoming leader (whoever that may be) is a more resourceful fundraiser than Hazel O’Leary and rues what the university (and the greater Nashville community) lost on her watch.